In high school, instead of following my theatrical and musical interests, I followed boys. To be more specific, it was two boys: Bill and John. I attached myself to first one and then the other, and boy, I never looked back. Until now. When given the opportunity to write a guest blog about high school regrets, I knew immediately I had to write about the missed opportunity to become the next Pat Benatar. That’s what my fellow classmates, the Bannockburn School graduating class of 1981, predicted for me in eighth grade anyway. And, given that I had snagged the lead in our school musical that year and was subsequently asked to be the lead singer in a local band, it may not have been completely unfounded. Though, if I am honest with myself, I never could quite belt out the high notes like my favorite female musical icon, so that prediction was most likely not going to happen. However, that hasn’t stopped me from singing “Hit Me with Your Best Shot” at every karaoke bar I have encountered between 1988 and now. Even if I wasn’t going to be the next female rock star, I could have at least had fun being a part of my high school musicals or show choir. But, for some ridiculous reason I did not audition for one play or chorus my entire four years of high school! Oh, how I wish I had had High School Musical or Glee to inspire me back then. The musical renderings of Gabriella or Rachel might have pulled me out of my hormone induced stupor. Or, at the very least I might have realized that you could get hot boys like Zac Effron to pay attention to you if you could carry a tune. Unfortunately, though, during my time, people like me were known as theater geeks and being a geek back then didn’t carry with it the cool factor that it does today. So, what does a person do when she realizes she totally missed out on many wonderful high school experiences? If I were Marty McFly from Back to the Future, I would simply hop in my DeLorean, punch in 1985 and totally rock the Deerfield High School audition for The Pirates of Penzance. Since I can’t do that, I do what all good parents do: Nag their children not to make the same mistakes they made. Beyond that, my books tend to have underlying themes related to the importance of pursuing your dreams and being open to new possibilities. For example, in my e-Book, PURE ENOUGH, when Katherine, the protagonist, transfers to a new high school, she has the ability to reinvent herself, but instead, she hesitates, afraid to try anything outside of her comfort zone. Her love interest, Aidan, is a hot theater geek (why didn’t I find one of those when I was in high school?) and persuades her to audition for the school play. Katherine makes the play, and as a result, learns a lot about who she is in the process. 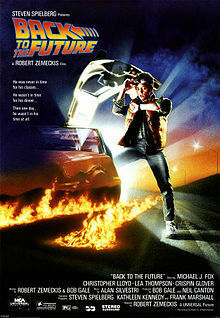 But, back to my future…as it turns out, I don’t need a DeLorean to alter my past mistakes. 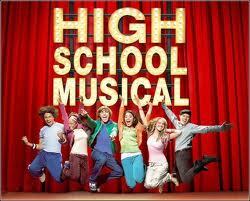 Twenty-five years after graduating, I landed a walk-on role in my alma mater’s high school musical. All it took was outbidding another frustrated theater geek at a local fundraiser. For seventy-five dollars, I have secured the opportunity to walk across the high school stage in front of an audience. Even if the director doesn’t give me a single line to speak, I won’t care. I am thrilled that the curtain has not closed on my high school theatrical debut. Sometimes life gives you a do-over and when it comes, you better seize it. I don’t think I could have written a better ending myself. This is me with the boy I eventually married. I am still working on getting him to sing show tunes with me. Sandy, thanks so much for stopping by and sharing your High School Regret. And for the adorable picture of you and your hubby! I'm sure he's much cuter than either Bill and John ever were! ***GIVE AWAY ALERT! *** The first person to follow Sandy's blog here will receive a free e-copy of her book PURE ENOUGH. How awesome is that? Now it’s your turn, awesome readers…If you could pay $75 to experience something you missed in high school, what would it be? Great post Sandy. You stumped me - I can't think of any experience I feel like I missed. I can think of a lot of things I tried that were a waste of time: band-I can't play music, choir-I can't carry a tune when others are listening, musical theatre-again, can't sing. If anything, I wish I'd paid more attention to English class and the tools that I would use as a writer. Thanks again for being our guest. Great, through-provoking post! I have similar regrets about not auditioning for high school productions. Unfortunately, mine was less hormone induced and based more in fear and insecurity. I’m all about the do-over’s as well. So, a few years ago they were holding a ‘cattle call’ audition on Louisville, KY for the movie, Elizabethtown (starring the dreamy Orlando Bloom). So, no theater background, no headshot or resume to speak of, I packed up and drove down for the audition. I was greeted by a crowd so enormous, that the line for auditions wound through staircases and hallways on multiple floors of the hotel. Thanks for visiting, Sandy! I'm so glad you've been able to right your past mistake and get on stage! $75 bucks is really a small price to pay for a dream. Break a leg! I must confess I was a full on theater geek, the original Lea Michele. But honestly, it was because I loved becoming other people so I didn't have to be myself. It wasn't until college, when I got away from a dysfunctional family situation and started to think for myself, that I realized I didn't need to be anyone else anymore. 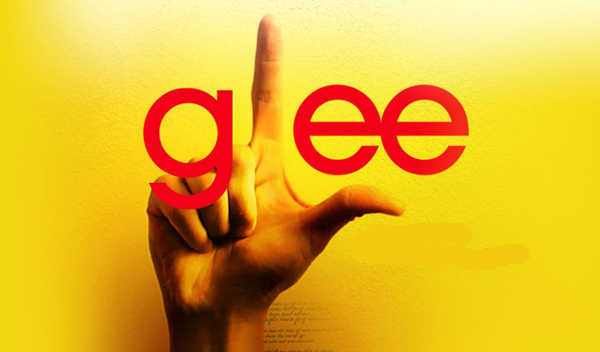 I was happy being Lea.